Are you in trouble? Due to very short battery timing& slow speed of your iPhone. Maybe you are thinking that “Auto App Killer” for the iPhone is the solution of your tension. Do you think that the iPhone operate like PC? Software’s continue to work even if you are not working on your computer. Obviously, these programs which are running in the background will cause to take more load and slow your PC performance. There are several ways to boost your computer. Many software’s are available that close applications that are not required by you. Now you may have an assumption in your mind that IOS operate as similar to PC. Means apps run behind the scene and consume battery. 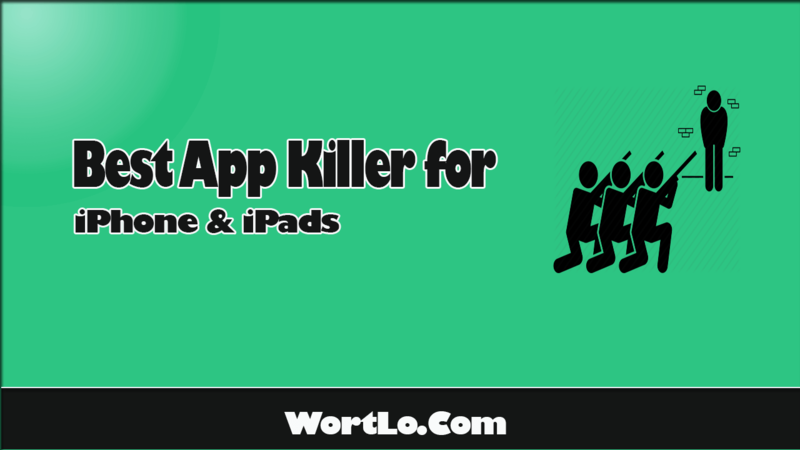 Someone may suggest you some App Killer that will stop the working of undesired applications. To enhance your phone efficiency. Listen, all the stories that you have about the operating system of IOS& PC is not true. Computer and iPhone do not work in the same way. Means the thing you have in your mind that there are apps working on the background of your iPhone is not reality. Now the story is that while you switch off your phone all running apps are paused. As these apps are not running so don’t use your mobile battery power. They are dormant. Means those apps are not harmful to your iPhone. The app will not consume battery until unless you switch on your phone to use again. But! There is a small number of apps that keep on going when you are not using them. These apps are very interesting for you and you don’t want to delete them. So it’s fine. The solution of this also exist. You can force the apps to quit. 1 Why not use a killer? 2 How a killer use more power? 4.1 Steps are given below. 7.1 Question: Is there any fast method to switch off all apps on the iPhone? 7.2 Question: How to check the apps running when you are not working? 7.3 Question: is there a task manager in the iPhone to control un-used apps? 7.4 Question: How to stop iPhone paying for apps on the app store? 7.5 Question: is there any need to use app killer for IOS? Why not use a killer? Is there any issue to use “app killer”? Yes, it will create trouble for the user. If you are using “killer” to shut down the app. This may severely harm your iPhone. It has many negative effects on your smartphone. Killers use more energy of phone that an app does for which you are using this. How a killer use more power? Listen carefully, the killer also quit apps that are not in use. Would you think it will stop working on other apps without using power? If your answer is in yes, then sorry to say you are wrong. Oooops! Unhappily, this will stop the working of those apps which you also required to operate in the background. You may be downloading some of your favorite movies. App killer will close this without your permission. In normal routine when you are not working your app is just paused. Whenever you have need of this, it will starts where you left the app. But “Killer” completely close the app. App killer will automatically close. As you know apps will reload when they are open again. And they will use more power and slows your mobile. Surprise! IOS has its own system to quit the paused apps which you are not using regularly. When your smartphone is working slowly due to overload. It will automatically detect those apps which create trouble for you and sends warning to you to fresh the phone. You have a vast option to stop the app by closing it or may un-install it. Look: if you are facing svere problem then “SnapStats” will be a best game killer for iPhone. This will inform you about the usage format of your battery. And how much an app using your RAM. But this may also be power hungry. Read More Interesting article about Spotify Premium APP. Look, there are certain apps that are also working even when you are not using them. So you have no need to worry I am going to tell the procedure of Killer task for iPhone7. Steps to kill the app forcefully. Go too fast app switcher. Mark the app which you want to stop working. Click on the app which is to be shut down. Listen, The procedure to kill the apps on iPhone X is a little bit changed. Firstly, touch on the gesture area to open the setting. Still the appearance of multitasking interface swings your finger. Press on the app which you want to switch off. “-“sign will show on the upper left side of your iPhone screen. You can also click on the red circle. Simple, it’s very easy to shut down the apps on iPads IOS 11. Click on “home button” of iPad. Find the app you want to switch off. Press the thumb on the icon of the app. Swipe the app on the upper side. Congrats! You shut the app that was trouble for you. Using one finger go from lower to upper side of your iPad. Keep rolling until “app switching interface” will appear. Then by swap shut down the app. Question: Is there any fast method to switch off all apps on the iPhone? Answer: definitely yes, it is very simple. Just click home button> go to app switcher> swipe up app. Enjoy! Heavy speed of the iPhone because all apps have been shot down. Question: How to check the apps running when you are not working? Answer: go to app settings> click on General> select background app refresh> pin the background app refresh option. The app that’s are running unnecessarily will be shown to you. Question: is there a task manager in the iPhone to control un-used apps? Answer: There is no task manager in IOS devices. But you can check apps which are causing trouble by using different methods. Question: How to stop iPhone paying for apps on the app store? Question: is there any need to use app killer for IOS? Answer: No, because the iPhone has its own management system. That’s why any app killer is not required. Finally, I would suggest you don’t use any type of killer app. Because it may affect your phone efficient. Moreover, the killer will use a huge share of a battery as compared to un-used apps. And your purpose will not be achieved. You can use the method which I have shared with you. Further, if you have any problem comment in the suggestion box.